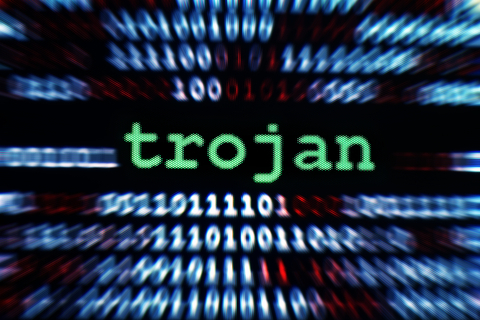 Home › Info Central › Trojans – What Trojans are, and how to protect against them. Trojans – What Trojans are, and how to protect against them. Definition: A Trojan or Trojan horse is defined as, “…malicious, security-breaking program that is disguised as something benign”. The Internet is littered with viruses, worms and, Trojans commonly known as malware. Trojans are one of the most annoying forms of malware and, the sneakiest, as they enter the user’s computer/network without them realizing it. That is where they get their name; the famous Trojan horse of the Greek mythology. Remote Access: These allow the hacker to gain control of the user’s machine. Data Sending: These Trojans enter the user machine and, send ping backs locking into the passwords and, keystrokes being entered by the user. This allows the hacker to access passwords, credit card details etc. Destructive: These are malicious Trojans that delete, and destroy the core system files. Denial of service (DoS): These Trojans slow down a system by attacking a network of computers and/or the ADSL users. By infecting en masse the Trojan increases use of bandwidth and, can slow down or cause a site/Internet to crash. Proxy: These attack the proxy server and, allow the user’s computer to be controlled by the hacker. FTP: These open the port for FTP transfers and, control user machine through the FTP. Security software disablers: These disable your security software and, attack your machine easily. – Access the network, whether you are a home or business user. – Get an anti-virus scanner of the highest quality and, keep it up to date. – Install a firewall to prevent hackers from entering the user system. – Educate users to avoid opening e-mail files, sites, attachments etc. – Install an executable server at mail server level as well as a virus scanner on the network. Trojans are usually created to target specific users rather than users en masse. That is why a sophisticated up-to-date internal security system is necessary to avoid Trojan attacks through email. Omniquad is protecting their users from both web based Trojans with web security solutions such as Surfwall Remote which is a comprehensive web filtering service. Malware such as Trojans, viruses, and spam is screened out by email filtering services, such as Mailwall Remote. Many businesses are including regular Network Penetration Testing in their security plan, to ensure their networks are impenetrable, as new network vulnerabilities are discovered, or a change in the firewall configuration can render a network open for hackers. Further Reading: “Cloud hosted Email Security – Why the most agile and cost efficient business solution defending against email threats is Cloud Based” – Many businesses are moving their email and web filtering to cloud providers to benefit from a solution that is constantly updated as new threats emerge. It saves time and money to let a third party handle email and web security, as a team of web experts and threat specialist will be on the look out 24/7, offering new patches, new upgrades, seamlessly in the background.